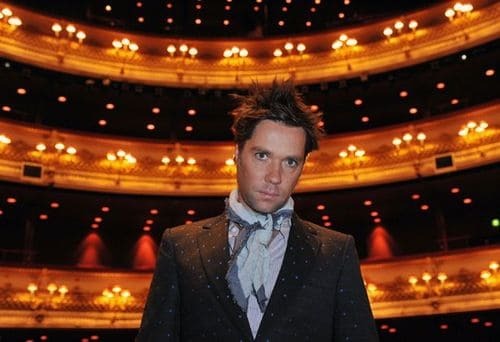 It's fair to say that when Rufus Wainwright released his debut self-titled album in 1998, the sheer volume and variety of his future work could hardly be predicted. He used to speak of (and, indeed, continues to mention) his desire to be a contemporary pop star, but if House of Rufus — the 19-disc box set featuring almost everything he's ever put his name on in the last fifteen years — reveals any one thing, it's that Wainwright is no contemporary pop star. Nor should he be. When "Foolish Love" opens the set with its theatrical panache, there is no question that Wainwright's idea of pop music sounds nothing like the radio: there is no traditional chorus, the lyrics are more conversational than radio call hook, and the arrangements — provided by the legendary Van Dyke Parks — haven't been "contemporary" since Parks produced Phil Ochs in 1970. Later, within the context of his "official" discography, Wainwright gives us folk tunes, album-oriented rock, classic torch songs, and his own self-proclaimed "popera." There are new versions of Shakespeare sonnets, liturgical mass music, and two CDs worth of Judy Garland covers. There is even the story of Prima Donna, the opera he composed and premiered in 2009. Factually, there is no "hit single," but more importantly, there is no artistic deficit. Wainwright flourishes as a true visionary artist, almost in spite of himself. 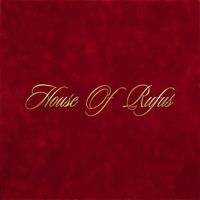 In terms of rare music, House of Rufus offers an incredible selection of demos and other unreleased material that needed a wide release — the jaunty "A Bit of You" and fan favorite "Money Song" immediately spring to mind — but there's one song whose omission lends unintended irony to Wainwright's pop aspirations: The only officially commissioned remix of a Rufus Wainwright song — by German techno producers Michael Mayer and Superpitcher — gives "Tiergarten" an epic 14-minute ambient disco workout, and in all these years, it's still the closest he's ever come to finding success on a modern dancefloor. Musicians are responding en masse to news of the death of Amy Winehouse: Says Lady Gaga, "Amy changed pop music forever." 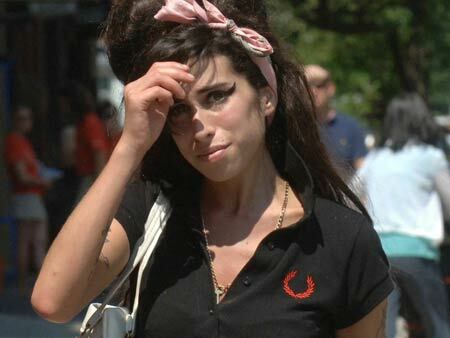 Adele astutely noted that "Amy paved the way for artists like me and made people excited about British music again whilst being fearlessly hilarious and blasé about the whole thing." And in a series of tweets, Rihanna said she was "genuinely heartbroken about this." For a longer read from a surprising contributor, comedian Russell Brand offered a deeply personal essay about Winehouse and their shared affliction of addiction: "Whether this tragedy was preventable or not is now irrelevant. It is not preventable today. We have lost a beautiful and talented woman to this disease … All we can do is adapt the way we view this condition, not as a crime or a romantic affectation, but as a disease that will kill." The musical tributes for Amy Winehouse have just begun: Esteemed singer-songwriter Jay Brannan covered "Rehab" for a new video on his YouTube channel, while M.I.A. quickly responded to Winehouse's death with a new song: "27" is available for streaming on Soundcloud now. 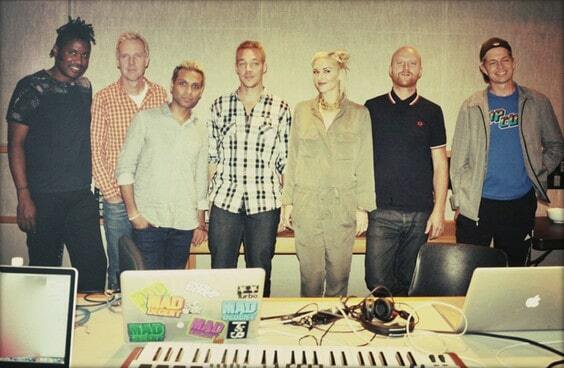 No Doubt's love for Jamaican dancehall culture, reggae, and ska is well-documented, so it's almost a no-brainer for the crew to hook up with electro-dancehall producers Switch and Diplo — a.k.a. Major Laser — on their forthcoming comeback album. The band revealed they're working on a new song called "Push and Shove" with the duo. Snow Patrol have announced a new EP for release on September 4 — their first new set since 2008's A Hundred Million Suns. 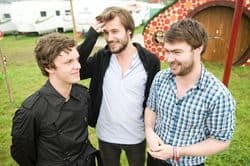 The band released a high-quality version of the title track, a quasi-nu-disco stomp titled "Called Out In The Dark," for streaming on YouTube. Whether you love Gaga or you'd rather she just go away, there's little arguing that "Edge of Glory" is kind of a jam. UK post-rave standard-bearers Friendly Fires seem to agree: they covered the song for BBC Radio this week. Today in bizarre musical family dynasties: Bob Dylan's grandson, Pablo, is a rapper. It's hard to believe it's been over three years since the release of Feist's incredible breakthrough album, The Reminder, but the dry spell is over: A 12-song follow-up album called Metals will get its release on October 4, and the singer has released a string of preview videos to whet your appetite. Those of you who remember my Unsigned Artists Special a few months back might remember Owen Duff — the openly gay London-based singer/songwriter whose work, I noted, "transforms the Broadway dream-sequence into a three-minute pop song." In anticipation of a new EP set for release later this summer, Duff threw a sublime cover of Whitney Houston's "I Wanna Dance With Somebody" on YouTube, and pretty much earns that critical distinction all over again. This week's Rdio playlist lays tribute to the massive contribution that Amy Winehouse made in creating a hospitable landscape for a British neo-soul and jazz vocal movement that includes, but goes well beyond the phenomenal success of Adele. The circumstances under which this playlist was conceived were, of course, terribly unfortunate. But creating this mix provided a unique opportunity to appreciate the work of Amy's peers and that of her successors — only a partial extent of what will surely become her influential legacy. Direct relations include Dionne Bromfield — the 15-year-old singer who was Amy's goddaughter and protégé — as well as Alex Clare, an ex-boyfriend whose dubstep-soul bears clear traces of her impact. But it's the indirect connections of, say, Kate Nash's straightforward lyrical approach or VV Brown's distinctively English delivery that will remind us most of the profound impact that Amy Winehouse had on British music in such a short amount of time. This mix attests to the fact that her absence will be deeply felt for some time. Penguin Prison — "Fair Warning"
Ebullient and seemingly effortless, Penguin Prison's latest single is somewhat of a modern new wave benchmark — meaning that if you took away the roaming arpeggiators and impeccably synthesized rhythm, you'd still have a meaningful pop song. All together, it's a last-minute contender for song of the summer. Joan as Police Woman — "Chemmie"
Her bio includes stints with Antony & the Johnsons and the Dambuilders, collaborations with Rufus Wainwright and Scissor Sisters, and significant-other status with the late Jeff Buckley, so if the company that Joan Wasser keeps is any indication, her talent-to-notoriety ratio is sadly skewed in the wrong direction. "Chemmie" is the third single from last year's The Deep Field — a jazzy, but soulful take from an emerging artist that demands a second look. His most recent notoriety comes from an impressive list of songwriting and production credits for Ellie Goulding, Girls Aloud's Cheryl Cole, and Kylie Minogue — if you liked "Put Your Hands Up," he's one of the people you'll want to thank — but later this year, Starsmith plans to strike out with his solo debut. "Lesson One" is the second official single from that album, co-written by French club producer Alan Braxe. The Forms recent Derealization EP showed a band on the verge of a creative apex, and with the video for "Fire to the Ground" — one of its standout tracks featuring vocals by The National's Matt Berninger — the New York-based duo step up the visual element: Intricate, conceptual, and somewhat dark, insofar as occasionally mirthful dancing can be dark, this is not the kind of choreography you'll see on So You Think You Can Dance.